Charlotte Botha: Bio & Choral Music | Santa Barbara Music Publishing, Inc.
Charlotte Botha is an enthusiastic conductor, composer, ensemble singer, and teacher of voice, music theory and aural training. She believes that choral music embraces difference and teaches tolerance. Originally from Klerksdorp, South Africa, she embarked on an ambitious career as a pianist, percussionist, chorister and vocal soloist from the age of 6. She has had the privilege of singing under and learning from inspiring conductors and voice pedagogues from around the world. During her BMus (University of Pretoria, 2009) and MMus (Nelson Mandela Metropolitan University, 2014) she specialised in choral conducting with Johann van der Sandt, Junita Lamprecht-Van Dijk and Peter-Louis van Dijk as her mentors. 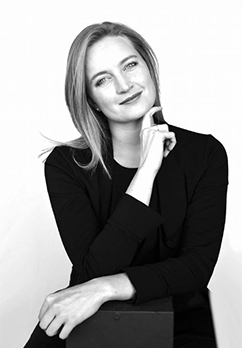 As conductor of many well-known choirs, such as Pretoria High School for Girls Choir, Singkronies Chamber Choir and the Drakensberg Boys Choir, Charlotte cultivated a passion for group vocal technique. Charlotte attends choral conducting master classes as often as possible, and regularly presents workshops that promote the development of aural training skills through choral singing. Under the mentorship of Allen Hightower and Richard Sparks, she currently pursues a Doctor of Musical Arts degree in Choral Conducting Performance and Music Theory at the University of North Texas, where she conducts the UNT Women’s Chorus. Her interests include badminton, foreign cuisine, the study of phonetics and learning new languages. Charlotte Botha has 1 titles published with Santa Barbara.